Tens of thousands of supporters of Tunisia’s ruling Islamist party marched in the capital in support of the government’s legitimacy. The rally follows a series of violent protests ignited by the assassination of a secular politician. 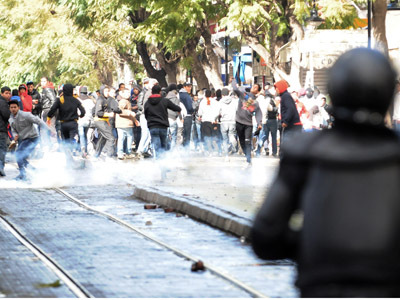 The pro-government supporters took to the streets on a central Tunis boulevard which was the heart of the 2011 uprising which toppled the government of President Zine El Abidine Ben Ali. "God is greatest," and "Supporting Ennahda [the ruling party] is a duty," were some of the slogans chanted by the protesters, AFP reports. Others waved banners reading: "For the defense of the Arab-Muslim identity," and "Media of shame and sedition." 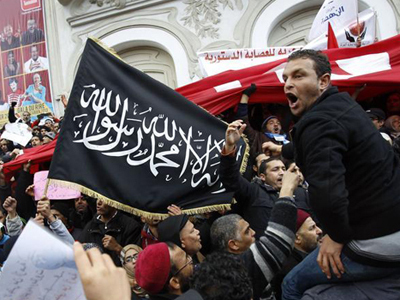 Black banners in support of the hardline Salafists were also on display. Those in attendance cast aspersion on secular opposition leader Beji Caid Essebsi. 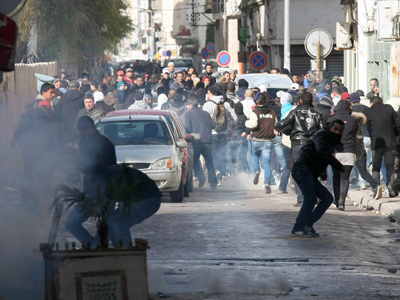 France, the former colonial power often accused of interfering in Tunisia’s politics, was also a target of the crowd’s rage. 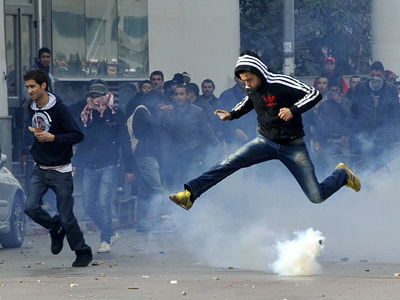 The February 6 assassination of Chokri Belaid, a human rights lawyer and opposition leader, has sparked a political crisis in the country and a string of violent protests in which one police officer was killed. Prime Minister Hamadi Jebali promised to form a non-partisan, technocratic cabinet to run the country until elections could be held, prompting a harsh response within his own party and on the streets. "The initiative of the prime minister is a coup against legitimacy, which gave power to Ennahda. 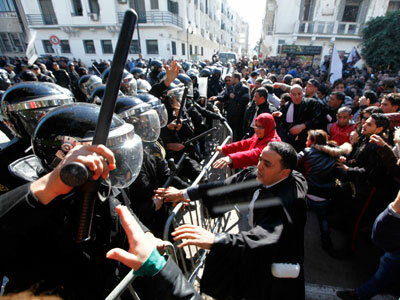 That is a coup against the election results," protester Omar Salem told Reuters. More than 100,000 reportedly took part in Saturday's rally, over twice the number who attended Belaid’s funeral, Lotfi Hidouri, a spokesman in the Interior Ministry, told the agency. Security sources put the number at tens of thousands of protesters. 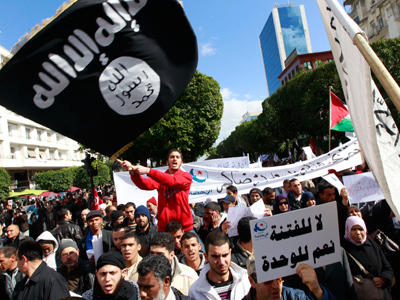 Islamists had previously launched smaller counter-rallies in response to the public outrage and subsequent protests following Belaid’s murder. Jebali, who had promised to resign if he failed to form a new government, said talks on the new administration had been rescheduled for Monday after meeting with leaders from the main opposition parties on Friday. He further said a previous Saturday deadline for the government’s formation had been canceled, with no future date set.